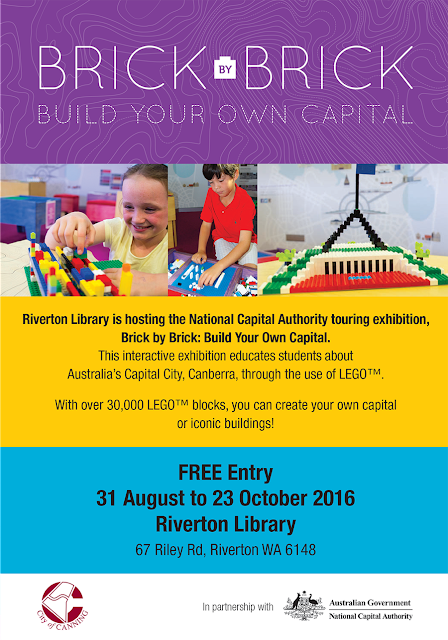 Riverton Library is hosting an interactive LEGO exhibition! Kids can learn about the Australian capital city, Canberra, with LEGO. They'll also be able to create their own Australian landmarks using the tens of thousands of LEGO bricks available! This free event is on now, through school holidays, until October 23. Find out more at the Canning Libraries webpage, or phone Riverton library at 08 9231 0944. This event is organised in partnership with the National Capital Authority of the Australian Government.